Choosing the right preschool can be a challenging task. Will they understand my child? Will she feel safe and happy? Will she get the cuddles and affection she needs?My grandaughter, Ivy started Rabbit Patch in the Nursery 4 years ago, and I can happily say we made the right choice for her! Every morning we are greeted and welcomed with genuine care and interest. This makes the transition so much easier. On the days Ivy is feeling unsure she gets the cuddles and encourgement she needs. On the days she is full of beans and feeling independent she still gets welcomed in with questions about her morning or weekend. This manaakitanga is always to extended to her whānau. Staff have taken a great deal of time and effort to build relationships and as such I feel they have a good understanding of Ivy, her interests and strengths. Ivy is very tactile and loves to explore through smell, touch and often taste. 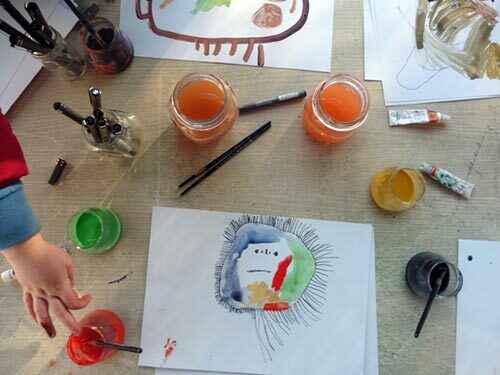 With the ateliers and atelieristas, Ivy has been able to learn within the Arts through use of all of her senses. I love the way her prior knowledge and experiences are incorporated into learning at the centre. The learning experiences have been amazing. 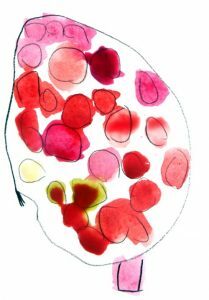 Their investigations are driven by the children’s curiosity and have enabled Ivy to pick up some valuable scientific concepts through play and exploration. Rabbit Patch has a wonderful whānau feel where Ivy and her family have always felt welcome and valued. We are extremely grateful for the role that Rabbit Patch has played in nurturing Ivy and helping her to become the curious, confident and articulate girl she is today. 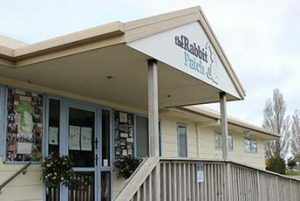 We chose Rabbit Patch for our son because not only were the staff warm, friendly and made us feel like our son would be safe and cared for, of all the preschools in the area the Rabbit Patch Memorial Ave has the most amazing sleep room in their nursery. I wanted our son to be in a homely environment and I walked in and saw the stand alone each assigned cots, I heard the gentle music and it just felt like the right fit. The Reggio Emilia style of learning has just meant our son is so engaged and willing to give things a go. He’s happy excited and his knowledge and skills right from the outset have been supported and encouraged. We as well as our extended family love the daily news, it was always a great talking point amongst the grandparents but now I talk each day with our son, look at the pictures and he can tell me what he’s been doing proudly. I also can't say nicer things about the staff; they are so warm, they care for the children as well as their families. Suz is amazing, the centre always seems organised and she has always been so open to making things work for us if we've had changing schedules. When you're a working mum, preschool becomes part of your community and the teachers are part of your much-needed village, being part of the Rabbit Patch village is a great place to be. I’d 110% recommend the Rabbit Patch, its peace of mind knowing your child is not just safe, feed but really nurtured. The daily news is great, the communication is great and the staff really do genuinely care. 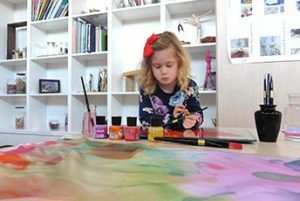 Let's face it, choosing the right pre-school for your child is a daunting task. My wife and I were complete rookies and largely relied on word of mouth to help us select a nursery, but by the time Finn turned two we realised that the decision to select the best centre was an incredibly important one. I made a conscious decision to research the varying teaching philosophies for pre-schoolers and it blew me away just how different they all were. 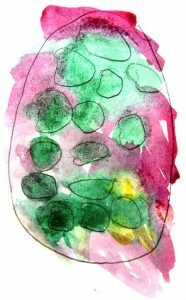 It became apparent to me that the Reggio Emilia teaching approach was what resonated best with our family, and for our child and so we moved away from the nursery he had been at for a few years. We then visited a number of centres to further understand this philosophical approach and to see if this style of education was best for our son. Most of my friends jumped at the first or second pre-school they walked into and had no idea that different teaching philosophies were even a thing, but I know just how vital the quality of education is at this level as it has long-lasting life impacts for the child - including social, emotional, financial and psychological impacts. Many people simply overlook the importance of high-quality preschool education. We are thrilled by the love, education, joy and sense of adventure that Rabbit Patch offers. The educators are so passionate about what they do, and the pastoral care is second to none. Come and check it out for yourself, and remember that this decision is WAY more important than you imagine. Our family have been with Rabbit Patch Memorial for over 7 years now and we still have a couple of years to go before our youngest starts school. I can’t thank the fabulous staff at the Patch enough for the experiences and warm care all my 3 kids received during their time there. The teachers are hard working but still manage to greet us with a genuine smile and a chat every day during drop off and pick up times. Being located so close to the airport the children get to experience some pretty cool adventures such as the regular visits from the Airport fire truck, watching x-ray machines in action and having family pets and farm animals visit the centre. With a large number of Airport and shift workers enrolling their children at Rabbit Patch Suz masters working around everyone’s rosters and somehow always manages to fit children in even at the last minute. It’s great having a preschool that is so accommodating to shift workers and the larger Airport community. My kids look forward to going to preschool every day, they adore their teachers and have made some friends for life. Keep up the good work. “Rabbit Patch Memorial have been so amazing and so flexible for our Family with two kids and travelling often for work I don’t know how I could have managed my irregular working hours without Suz and her amazing team. Our twins have been with Rabbit Patch since they were 1 and we feel like we are part of the family welcomed every day with a smile and the teachers have a true interest in our lives. 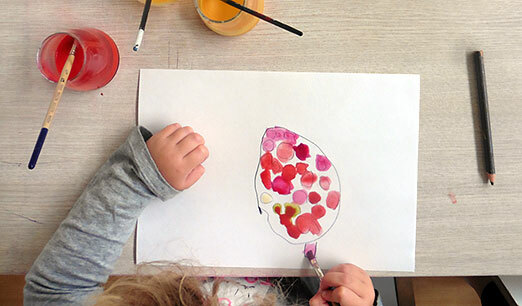 We love the way Rabbit patch turn the children’s ideas into discovery journey and we love the Atelier which enables our twins to develop their artistic nature. It’s a great place to be and our Family would highly recommend the Rabbit Patch family. Rabbit Patch has been a phenomenal experience for our two children. Having two completely different children personality wise, one whom was very introverted, shy and struggled to be away from us and the other who was confident, sure of herself and happy to join in to any activity, was a real challenge. 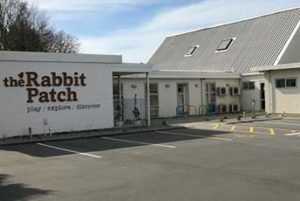 Finding a centre that had the ability to teach in diverse ways and had a philosophy of allowing them to play, explore and discover was why we chose to send our two to Rabbit Patch, Greers Road. 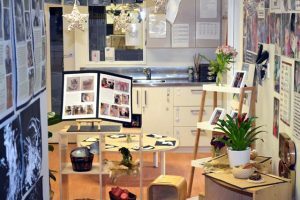 The staff know how to inspire wonder and use children's own interests and prior knowledge to guide teaching practice and plan materials and experiences to suit. The regular communication via the daily news and the use of Storypark as a parent/whanau, is invaluable. The outdoor environment is huge, with a large selection of nature time activities on offer, and their ability to use natural products in their teaching is one of the many reasons Rabbit Patch was our centre of choice. Our two have thrived atRabbit Patch and our once very shy, introverted young man was able to transition into school, confident and without a hitch due to the preparation and time Rabbit Patch staff had put into him, and every other child in their care. 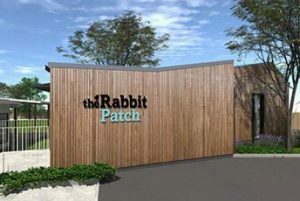 I have only ever witnessed true professionalism and commitment to care at Rabbit Patch and would recommend it to anyone who wishes to look at a centre that goes well beyond in their approach to pre-school education and treats every child as an individual to be valued. Our son has attended The Rabbit Patch since 8 months of age and has thrived in the safe and nurturing environment. The staff are all welcoming, professional, educated and organised and go above and beyond to provide a wonderful experience for the children every day. Both the indoor and outdoor areas are a kids dream – spacious, safe and with many interesting areas and objects to discover and immerse themselves in. We are truly amazed by the exploration and experiential learning on offer and love that the children are respected and encouraged to express their ideas - I truly wish I could stay and join in some days! The team at The Rabbit Patch have become like a second family for us, and we feel so fortunate to have found them. 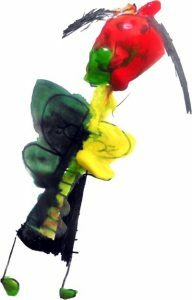 Poipoia te kakano, kia puawai – Nurture the seed and it will blossom.